Health risks can be produced by long-term use or excessive doses of anabolic steroids.These effects include harmful changes incholesterol levels (increased low-density lipoprotein and decreased high-density lipoprotein), acne, high blood pressure, liver damage (mainly with oral steroids), dangerous changes in the structure of the left ventricle of the heart.Conditions pertaining to hormonal imbalances such as gynecomastia and testicular atrophy may also be caused by anabolic steroids. The use of gonadal steroids pre-dates their identification and isolation. Medical use of testicleextract began in the late 19th century while its effects on strength were still being studied.The isolation of gonadal steroids can be traced back to 1931, when Adolf Butenandt, a chemist inMarburg, purified 15 milligrams of the male hormone androstenone from tens of thousands of litres of urine. This steroid was subsequently synthesized in 1934 by Leopold Ruzicka, a chemist in Zurich. In the 1930s, it was already known that the testes contain a more powerful androgen thanandrostenone, and three groups of scientists, funded by competing pharmaceutical companies in the Netherlands, Germany, and Switzerland, raced to isolate it.This hormone was first identified by Karoly Gyula David, E. Dingemanse, J. Freud and Ernst Laqueur in a May 1935 paper "On Crystalline Male Hormone from Testicles (Testosterone)." They named the hormonetestosterone, from the stems of testicle and sterol, and the suffix of ketone. The chemical synthesis of testosterone was achieved in August that year, when Butenandt and G. Hanisch published a paper describing "A Method for Preparing Testosterone from Cholesterol." Only a week later, the third group, Ruzicka and A. Wettstein, announced a patent application in a paper "On the Artificial Preparation of the Testicular Hormone Testosterone (Androsten-3-one-17-ol)." Ruzicka and Butenandt were offered the 1939 Nobel Prize in Chemistry for their work, but the Nazi government forced Butenandt to decline the honor, although he accepted the prize after the end of World War II. 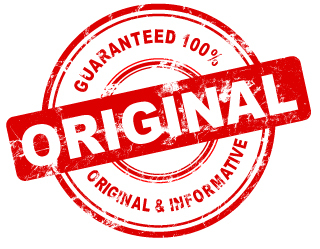 Clinical trials on humans, involving either oral doses of methyltestosterone or injections of testosterone propionate, began as early as 1937.Testosterone propionate is mentioned in a letter to the editor of Strength and Health magazine in 1938; this is the earliest known reference to an anabolic steroid in a U.S. weightlifting or bodybuilding magazine. There are often reported rumors that German soldiers were administered anabolic steroids during the Second World War, the aim being to increase their aggression and stamina, but these are, as yet, unproven. Adolf Hitler himself, according to his physician, was injected with testosterone derivatives to treat various ailments.AAS were used in experiments conducted by the Nazis on concentration camp inmates,and later by the allies attempting to treat the malnourished victims that survived Nazi camps. The development of muscle-building properties of testosterone was pursued in the 1940s, in the Soviet Union and in Eastern Bloc countries such as East Germany, where steroid programs were used to enhance the performance of Olympic and other amateur weight lifters. In response to the success of Russian weightlifters, the U.S. Olympic Team physician Dr. John Ziegler worked with synthetic chemists to develop an anabolic steroid with reduced androgenic effects.Ziegler's work resulted in the production of methandrostenolone, which Ciba Pharmaceuticals marketed as Dianabol. The new steroid was approved for use in the U.S. by the Food and Drug Administration(FDA) in 1958. It was most commonly administered to burn victims and the elderly. The drug's off-label users were mostly bodybuilders and weight lifters. Although Ziegler prescribed only small doses to athletes, he soon discovered that those having abused Dianabol suffered from enlarged prostates and atrophied testes. AAS were placed on the list of banned substances of the IOC in 1976, and a decade later the committee introduced 'out-of-competition' doping tests because many athletes used AAS in their training period rather than during competition. Chemical structure of the synthetic steroid Methandrostenolone (Dianabol). 17α-Methylation (upper-right corner) enhances oral bioavailability. The pharmacodynamics of anabolic steroids are unlike peptide hormones. Water-soluble peptide hormones cannot penetrate the fatty cell membrane and only indirectly affect the nucleus of targetcells through their interaction with the cell’s surface receptors. However, as fat-soluble hormones, anabolic steroids are membrane-permeable and influence the nucleus of cells by direct action. The pharmacodynamic action of anabolic steroids begin when the exogenous hormone penetrates the membrane of the target cell and binds to an androgen receptor located in the cytoplasm of that cell. From there, the compound hormone-receptor diffuses into the nucleus, where it either alters the expression of genes or activates processes that send signals to other parts of the cell.Different types of anabolic steroids bind to the androgen receptor with different affinities, depending on their chemical structure.Some anabolic steroids such as methandrostenolone bind weakly to this receptor in vitro, but still exhibit androgenic effects in vivo. The reason for this discrepancy is not known. The effect of anabolic steroids on muscle mass is caused in at least two ways: first, they increase the production of proteins; second, they reduce recovery time by blocking the effects of stress hormone cortisol on muscle tissue, so that catabolism of muscle is greatly reduced. It has been hypothesized that this reduction in muscle breakdown may occur through anabolic steroids inhibiting the action of other steroid hormones called glucocorticoids that promote the breakdown of muscles. Anabolic steroids also affect the number of cells that develop into fat-storage cells, by favouring cellular differentiation into muscle cells instead.Anabolic steroids can also decrease fat by increasing basal metabolic rate (BMR), since an increase in muscle mass increases BMR. 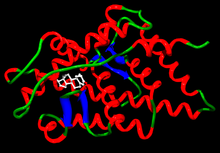 The human androgen receptor bound totestosterone The protein is shown as aribbon diagram in red, green, and blue, with the steroid shown in white. A commonly used protocol for determining the androgenic:anabolic ratio, dating back to the 1950s, uses the relative weights of ventralprostate (VP) and levator ani muscle (LA) of male rats. The VP weight is an indicator of the androgenic effect, while the LA weight is an indicator of the anabolic effect. Two or more batches of rats are castrated and given no treatment and respectively some AAS of interest. TheLA/VP ratio for an AAS is calculated as the ratio of LA/VP weight gains produced by the treatment with that compound using castrated but untreated rats as baseline: (LAc,t–LAc)/(VPc,t–VPc). The LA/VP weight gain ratio from rat experiments is not unitary for testosterone (typically 0.3–0.4), but it is normalized for presentation purposes, and used as basis of comparison for other AAS, which have their androgenic:anabolic ratios scaled accordingly (as shown in the table above).In the early 2000s, this procedure was standardized and generalized throughout OECD in what is now known as the Hershberger assay. Anabolic steroids can cause many adverse effects. Most of these side-effects are dose-dependent, the most common being elevated blood pressure, especially in those with pre-existing hypertension,and harmful changes in cholesterol levels: Some steroids cause an increase in LDL "bad" cholesterol and a decrease in HDL "good" cholesterol.Anabolic steroids have been shown to alter fasting blood sugar and glucose tolerance tests.Anabolic steroids such as testosterone also increase the risk of cardiovascular disease or coronary artery disease.Acne is fairly common among anabolic steroid users, mostly due to stimulation of the sebaceous glands by increased testosterone levels. Conversion of testosterone to dihydrotestosterone (DHT) can accelerate the rate of premature baldness for males genetically predisposed, but testosterone itself can produce baldness in females. Other side-effects can include alterations in the structure of the heart, such as enlargement and thickening of the left ventricle, which impairs its contraction and relaxation.Possible effects of these alterations in the heart are hypertension, cardiac arrhythmias, congestive heart failure, heart attacks, and sudden cardiac death.These changes are also seen in non-drug-using athletes, but steroid use may accelerate this process.However, both the connection between changes in the structure of the left ventricle and decreased cardiac function, as well as the connection to steroid use have been disputed. A 2005 review in CNS Drugs determined that "significant psychiatric symptoms including aggression and violence, mania, and less frequentlypsychosis and suicide have been associated with steroid abuse. Long-term steroid abusers may develop symptoms of dependence andwithdrawal on discontinuation of AAS".High concentrations of AAS, comparable to those likely sustained by many recreational AAS users, produce apoptotic effects on neurons, raising the specter of possibly irreversible neuropsychiatric toxicity. Recreational AAS use appears to be associated with a range of potentially prolonged psychiatric effects, including dependence syndromes, mood disorders, and progression to other forms of substance abuse, but the prevalence and severity of these various effects remains poorly understood.There is no evidence that steroid dependence develops from therapeutic use of anabolic steroids to treat medical disorders, but instances of AAS dependence have been reported among weightlifters and bodybuilders who chronically administered supraphysiologic doses.Mood disturbances (e.g. depression, [hypo-]mania, psychotic features) are likely to be dose- and drug-dependent, but AAS dependence or withdrawal effects seem to occur only in a small number of AAS users. Large-scale long-term studies of psychiatric effects on AAS users are not currently available.In 2003, the first naturalistic long-term study on ten users, seven of which having completed the study, found a high incidence of mood disorders and substance abuse, but few clinically relevant changes in physiological parameters or laboratory measures were noted throughout the study, and these changes were not clearly related to periods of reported AAS use. A 13-month study, which was published in 2006 and which involved 320 body builders and athletes suggests that the wide range of psychiatric side-effects induced by the use of AAS is correlated to the severity of abuse. A 2005 review determined that some, but not all, randomized controlled studies have found that anabolic steroid use correlates withhypomania and increased aggressiveness, but pointed out that attempts to determine whether AAS use triggers violent behaviour have failed, primarily because of high rates of non-participation.A 2008 study on a nationally representative sample of young adult males in the United States found an association between lifetime and past-year self-reported anabolic-androgenic steroid use and involvement in violent acts. Compared with individuals that did not use steroids, young adult males that used anabolic-androgenic steroids reported greater involvement in violent behaviors even after controlling for the effects of key demographic variables, previous violent behavior, and polydrug use.A 1996 review examining the blind studies available at that time also found that these had demonstrated a link between aggression and steroid use, but pointed out that with estimates of over one million past or current steroid users in the United States at that time, an extremely small percentage of those using steroids appear to have experienced mental disturbance severe enough to result in clinical treatments or medical case reports. 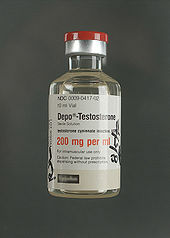 A 1996 randomized controlled trial, which involved 43 men, did not find an increase in the occurrence of angry behavior during 10 weeks of administration of testosterone enanthate at 600 mg/week, but this study screened out subjects that had previously abused steroids or had any psychiatric antecedents.A trial conducted in 2000 using testosterone cypionate at 600 mg/week found that treatment significantly increased manic scores on the YMRS, and aggressive responses on several scales. The drug response was highly variable. However: 84% of subjects exhibited minimal psychiatric effects, 12% became mildly hypomanic, and 4% (2 subjects) became markedly hypomanic. The mechanism of these variable reactions could not be explained by demographic, psychological, laboratory, or physiological measures. A 2006 study of two pairs of identical twins, in which one twin used anabolic steroids and the other did not, found that in both cases the steroid-using twin exhibited high levels of aggressiveness, hostility, anxiety, and paranoid ideation not found in the "control" twin. A small-scale study of 10 AAS users found that cluster B personality disorders were confounding factors for aggression. The relationship between AAS use and depression is inconclusive. There have been anecdotal reports of depression and suicide in teenage steroid users, but little systematic evidence. A 1992 review found that anabolic-androgenic steroids may both relieve and cause depression, and that cessation or diminished use of anabolic-androgenic steroids may also result in depression, but called for additional studies due to disparate data. Growth stimulation: Anabolic steroids can be used by pediatric endocrinologists to treat children with growth failure. However, the availability of synthetic growth hormone, which has fewer side effects, makes this a secondary treatment. Stimulation of lean body mass and prevention of bone loss in elderly men, as some studies indicate.However, a 2006 placebo-controlled trial of low-dose testosterone supplementation in elderly men with low levels of testosterone found no benefit on body composition, physical performance, insulin sensitivity, or quality of life. Between 1 million and 3 million people (1% of the population) are thought to have misused AAS in the United States. Studies in the United States have shown that anabolic steroid users tend to be mostly middle-class heterosexual men with a median age of about 25 who are noncompetitive bodybuilders and non-athletes and use the drugs for cosmetic purposes. Another study found that non-medical use of AAS among college students was at or less than 1%.According to a recent survey, 78.4% of steroid users were noncompetitive bodybuilders and non-athletes, while about 13% reported unsafe injection practices such as reusing needles, sharing needles, and sharing multidose vials, though a 2007 study found that sharing of needles was extremely uncommon among individuals using anabolic steroids for non-medical purposes, less than 1%.Another 2007 study found that 74% of non-medical anabolic steroid users had secondary college degrees and more had completed college and less had failed to complete high school than is expected from the general populace.The same study found that individuals using anabolic steroids for non-medical purposes had a higher employment rate and a higher household income than the general population.Anabolic steroid users tend to research the drugs they are taking more than other controlled-substance users; however, the major sources consulted by steroid users include friends, non-medical handbooks, internet-based forums, blogs, and fitness magazines, which can provide questionable or inaccurate information. Anabolic steroid users tend to be disillusioned by the portrayal of anabolic steroids as deadly in the media and in politics. According to one study, AAS users also distrust their physicians and in the sample 56% had not disclosed their AAS use to their physicians. Another 2007 study had similar findings, showing that, while 66% of individuals using anabolic steroids for non-medical purposes were willing to seek medical supervision for their steroid use, 58% lacked trust in their physicians, 92% felt that the medical community's knowledge of non-medical anabolic steroid use was lacking, and 99% felt that the public has an exaggerated view of the side-effects of anabolic steroid use.A recent study has also shown that long term AAS users were more likely to have symptoms of muscle dysmorphia and also showed stronger endorsement of more conventional male roles. The legal status of anabolic steroids varies from country to country: Some have stricter controls on their use or prescription than others though in many countries they are not illegal. In the U.S., anabolic steroids are currently listed as Schedule III controlled substances under the Controlled Substances Act, which makes the first offense simple possession of such substances without a prescription a federal crime punishable by up to one year in prison, and the unlawful distribution or possession with intent to distribute anabolic steroids punishable as a first offense by up to ten years in prison. In Canada, anabolic steroids and their derivatives are part of the Controlled drugs and substances act and are Schedule IV substances, meaning that it is illegal to obtain or sell them without a prescription; however, possession is not punishable, a consequence reserved for schedule I, II, or III substances. Those guilty of buying or selling anabolic steroids in Canada can be imprisoned for up to 18 months. Import and export also carry similar penalties.Anabolic steroids are also illegal without prescription in Australia, Argentina, Brazil and Portugal,and are listed as Class C Controlled Drugs in the United Kingdom. On the other hand, anabolic steroids are readily available without a prescription in some countries such as Mexico and Thailand. 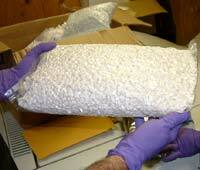 Steroid pills intercepted by the US Drug Enforcement Administration during the "Operation raw deal" bust in September 2007. Anabolic steroids are banned by all major sports bodies including Fédération Internationale de Football Association the Olympics,the National Basketball Association, the National Hockey League, as well as the National Football League. The World Anti-Doping Agency (WADA) maintains the list of performance-enhancing substances used by many major sports bodies and includes all anabolic agents, which includes all anabolic steroids and precursors as well as all hormones and related substances.Spain has passed an anti-doping law creating a national anti-doping agency.Italy passed a law in 2000 where penalties range up to three years in prison if an athlete has tested positive for banned substances.In 2006, Russian President Vladimir Putin signed into law ratification of the International Convention Against Doping in Sport which would encourage cooperation with WADA. Many other countries have similar legislation prohibiting anabolic steroids in sports including Denmark,France, the Netherlands and Sweden. 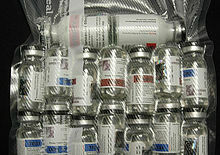 Several large buckets containing tens of thousands of anabolic steroid vials confiscated by the DEA during "Operation Raw Deal" in 2007. Hematopoietic stimulants are called granulocyte colony stimulating factors (G-CSF) or granulocyte-macrophage colony stimulating factors (GM-CSF). They are given as shots under your skin. People usually get a shot every day. But Neulasta is longer-lasting and may be given less often. Hematopoietic stimulants are the man-made form of something that is produced naturally by your body. These drugs help your bone marrow make new white blood cells. When you have chemotherapy for cancer, it kills the cells in your bone marrow. Hematopoietic stimulants help your bone marrow make new white blood cells. You need white blood cells to prevent or fight infection while you are being treated with chemotherapy. Clinical trials, are testing hematopoietic stimulants to see if they help people with some types of cancer. They work by stimulating the immune system. Hematopoietic stimulants help your body make new white blood cells and help prevent infection after chemotherapy. Preventing infection is an important part of cancer treatment. It may make it less likely that you will have severe complications or need to be hospitalized. Mild to moderate bone pain. High levels of uric acid, which may cause gout.